The pop superstar talks about his Boy Erased role, and how he hopes the film will impact the way LGBT people are treated when they come out. No matter how blasé people start to feel about (especially in a society that is very slowly but surely starting to become more tolerant of the LGBT community), coming out is still one of the hardest things queer people have to do. It takes an incredible amount of courage and vulnerability to proclaim an important part of who are to your loved ones, and despite that, there's still no way of completely predicting how they'll react. Some people are lucky, and their families (whether wholeheartedly or with reservations) accept them for who they are. But many others aren't so lucky. Some families don't accept kids who aren't anything but straight. Some families have a hard time accepting that their kid can be something different, not "normal." Some families want you to change. And that's the reality of coming out. A reality that is explored in Focus Features' Boy Erased, their latest release based on the true-life story of a gay kid who survived the harmful practice of ex-gay conversion therapy. 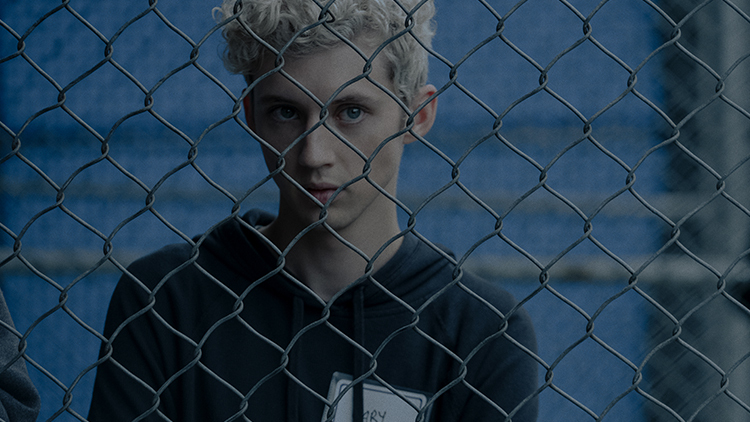 PRIDE sat down with openly gay pop superstar Troye Sivan (who plays Gary in the film) and chatted about his role, about getting to play queer on screen for the first time, and about the impact he hopes the film has on people, especially those who don't know about the hardships LGBT people face when coming out. PRIDE: Congrats on your role in Boy Erased! I know you’ve already done quite a bit of acting over the years, but with music obviously being one of your biggest passions, what was it like getting a script, stepping into a role, and getting back in front of the camera again? Troye Sivan: It was so nice. I was always just kind of waiting for the right project to come around before I auditioned for anything, and then this came around, and it was like I was 15 again as far as all of the nerves. Having to put an audition down on tape, and really kind of sink my teeth into a character and a project like this, it just seemed like such an exciting challenge at the time. It was really nice. I was in the middle of making my album and got to disappear for a month and go to Atlanta. No one bothered me, and as far as my record label, everyone was just like 'Oh, he's off filming a movie.' I got to step completely out of my world and really immerse myself in this movie. It just felt really, really nice. 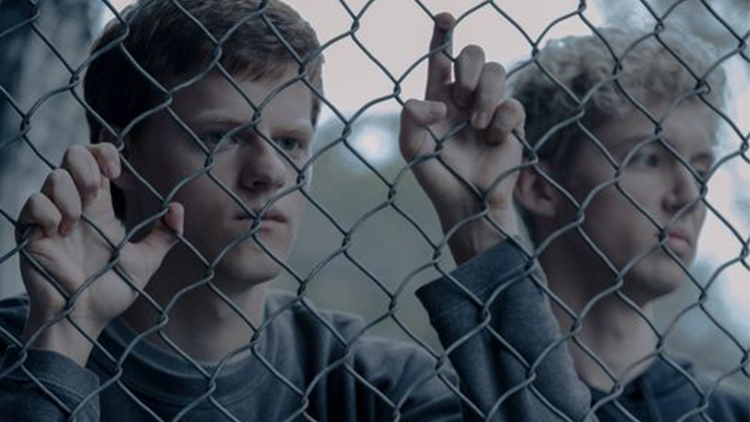 There have been two major queer, coming-of-age films released this year (Boy Erased and The Miseducation of Cameron Post) about conversion therapy, but it's still something you don’t really see talked about enough, especially in media. Why was it important for you to take this role and be a part of this film? For that exact reason. This is something that we need to be talking about way more than we are. I think the thing that shocks a lot of people is that this isn't a period piece. This happened in 2004, this specific story, and it's still going on today. It's a very current issue. I wanted to explore that and pick up the conversation a little bit about conversion therapy. Your character Gary obviously didn’t come from a family supportive of queer people because he got sent to conversion therapy. What kind of research did you do for that aspect of the role, especially since your family was more supportive of your coming out? I think your mom even started a Change.org petition to help save funding for LGBT anti-bullying programs in schools when you came out. It's really far from my experience, thankfully. I'm so lucky to be able to say that. For me, a lot of the research was done in speaking to friends who went to conversion therapy. I've got a couple friends. I watched a documentary, obviously I read Boy Erased the book. And then read the script a bunch of times. I got handed, by Joel, a bunch of the materials that kids would get when they would get to the camp, like the rules and regulations. A big thing for me, as well, was building this character with Joel. Joel was really open with me. We made our own genograms, we wrote our own moral inventories. Things that kids would really have to do at these camps, we did them. It was extremely helpful. Although Gary’s circumstances are unfortunate, this is one of the few instances where we get to see an openly queer person play a queer role. Do you think this will open doors for more queer actors to play queer characters and get in front of the camera more? I hope so. I was really excited to play queer on screen because I've never done that before. It felt nice to be able to just kind of relax into a role and not worry about what anyone was gonna think. It felt really natural, and like a nice easing back into acting for me. Besides acting in the movie, you also teamed up with Sigur Rós’ Jónsi to write and sing an original song on the Boy Erased soundtrack, "Revelation." How cool is that? Can you talk a little bit about getting to do two things you love for a project like this? I pushed really hard. I really wanted to do music for the movie and be involved in any way that I could. I wrote like six songs for the movie. None of them were quite right. Jónsi from Sigur Rós had been working on some scenes in the movie, and I went for breakfast with him and Joel and Joel sent me this one scene and it just had some piano over it. That's what I ended up writing "Revelation" to. There’s a lot of big names in this film! Nicole Kidman, Russell Crowe, Joel Edgerton, Lucas Hedges. I know your character got to spend most of his screen time with Joel and Lucas, and a little with Nicole, but what’s it like being in a project with so many movie stars? It's insane. I'm still so in awe. I'm gonna see Nicole later today, and I'm gonna be as starstruck as the first time I met her. She's such an inspiration to me and such an incredible talent. Joel has just been so lovely this entire time. He's so talented. It's been a real honor. One of the biggest honors of my career so far. Obviously this movie is going to resonate with a lot of queer people who come from unaccepting backgrounds. What do you want people who don’t know anything about the hardships of LGBT youth, who don’t have to worry about their parents rejecting them or trying to change who they are, to take away when they see this film? Hopefully they'll learn how to react when someone in their life comes out, because chances are, you're going to encounter someone who's LGBT. It's your sibling. It's your dad or your mum or your kid one day. Your friend. Your colleague. Whoever it is. I think that this movie is gonna hopefully be a good education tool in how to approach that person. Focus Features' Boy Erased, directed by Joel Edgerton and starring Lucas Hedges, Nicole Kidman, Rusell Crowe, and Troye Sivan, is in theaters now. Get your tickets here, and watch the trailer in the video below!